To find out more about After Builders Commercial Solutions, give us a call right now on 07480 002500. Our customer representatives are available everyday to supply you with a free quote over the phone or to answer any questions you may have. You may also reach us online to book an appointment directly or receive a free estimate via your email account – simply fill in our request a quote from. A powerful clean using the latest equipment and solution in the hands of a highly trained team. Handy booking options, including weekdays, weekends and even public holidays. Some of the best value for money on the market, and FREE quotes on our prices on request. 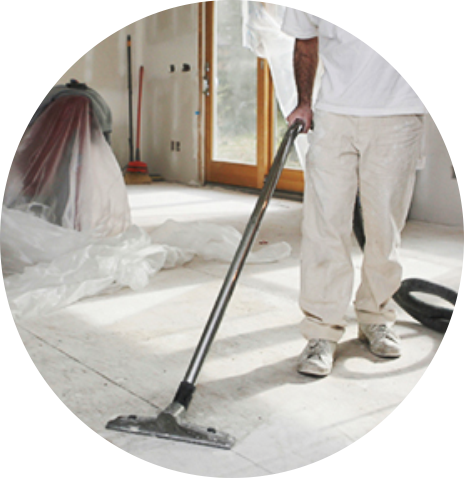 Insurance protection for every job that We carry out cleaning. Additional services to complete the job, including carpet and many more. Talk to us today and get the best deal! The exact details of what’s included in your builders cleaning services will vary according to the work you’ve had done and the current condition of your property. This is an hourly based service and really very flexible so you can set things up to suit your needs. When you contact us the customer support team will ask a few question and make a recommendation on how long you should book the team to complete your work. We bring all the equipment and cleaning agents required to complete the work-their suuply is included in the price you’ll be quoted. We’ve invested in industrial grade vacuum cleaners, tough enough to deal with debris and with build-in filtration systems to ensure that the finest dust is removed. We use professional detergents for general cleaning-you can’t buy these in the shops. They’re eco-friendly, non-toxic and formulated to give great results in a short time. We also provide specialist solvents and cleaners for construction cleaning needs,so We’ll tackle things like paint, plaster or varnish splashes too. Your services are provided under full insurance, and staff who We send to your door are reference checked and receive extensive training before starting work. As part of our commitment to customer satisfaction We also have quality control supervisors who monitor the work that’s delivered by the teams on a regular basis. Our after building cleaning service is guaranteed – if anything gets overloocked or isn’t done up to standard We’ll return and do it again,for FREE of course.